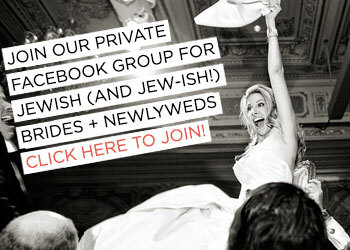 You might have noticed that I am totally obsessed with dreamy Italian destination Jewish (and Jew-ish) weddings. Between the historic elegance of the cities and those fantastic rolling hills in the countryside (not to mention that out-of-this-world Italian light), there’s just something about them I can’t get enough of. 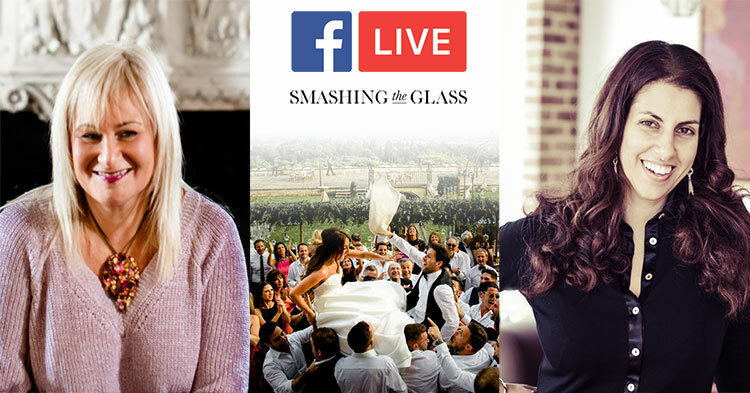 That’s why I’m beyond thrilled that premiere Italian wedding specialist Michelle Jacobs of Elegante by Michelle J will be chatting with me live on the the Smashing The Glass Facebook page this Thursday, 4 October! 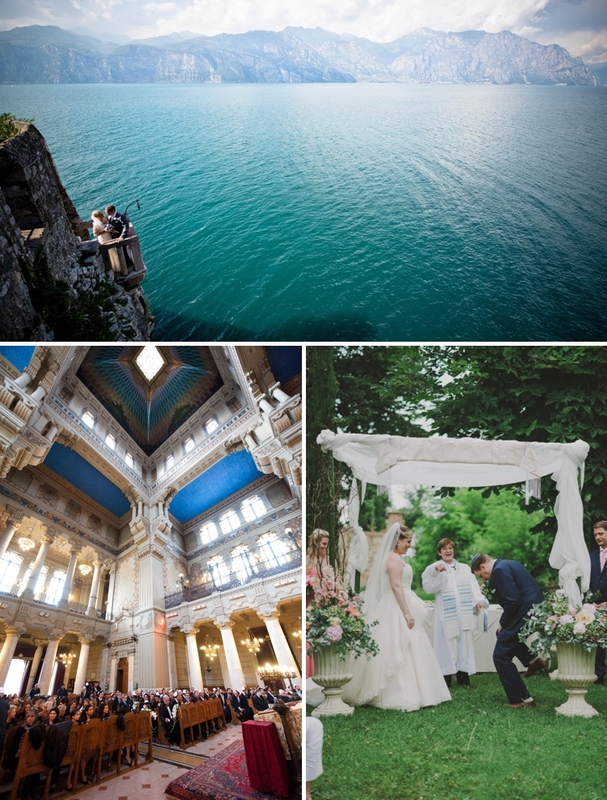 Michelle’s specialty is helping UK-based couples plan luxury Jewish weddings in Italy, and her work is totally and utterly breathtaking. She has planned some absolutely epic weddings (one of which we’re ecstatic to be blogging this coming Wednesday — watch this space… eek! ), full of the most gorgeous details. 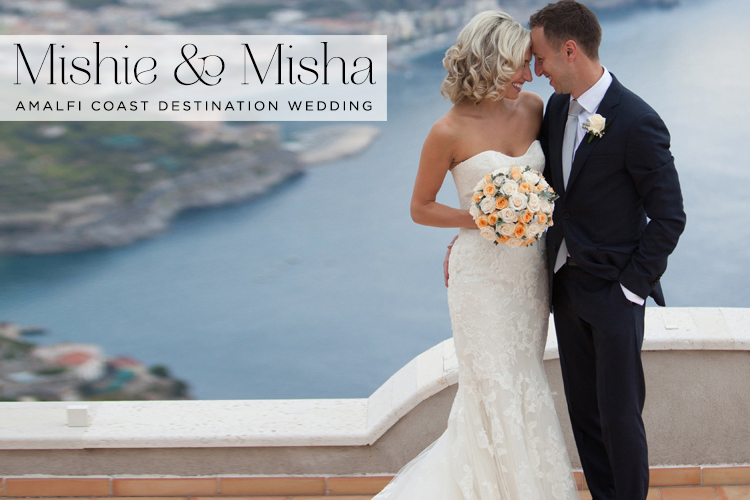 Based in London, Michelle is intimately familiar with both Italian and UK vendors who can help make your destination wedding a smashing success. I’ve made no secret of the fact that if I were to marry Mr STG again, it would be in the gorgeous ‘boot’ of Southern Europe. 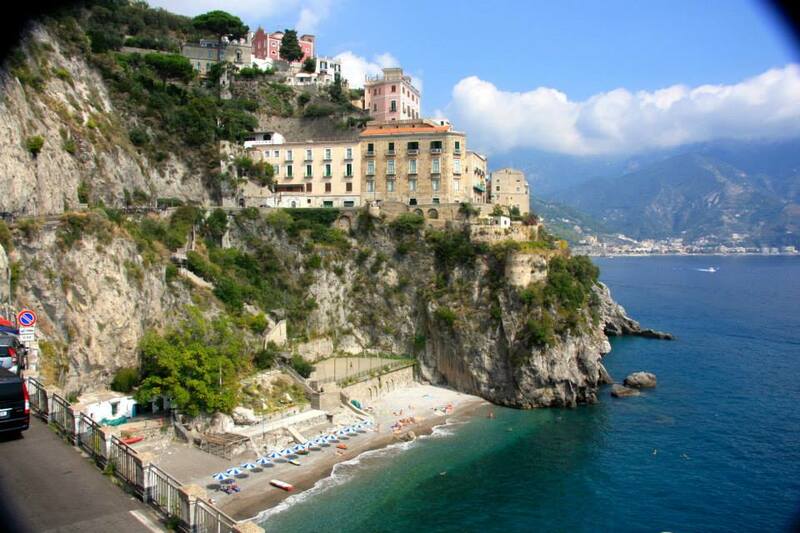 There is simply something magical about Italy. It feeds the soul. It conjures up a world in our imagination and touches so many thanks to it’s art, fashion, culture, food, climate and collection of insanely contrasting but always stunning vistas. 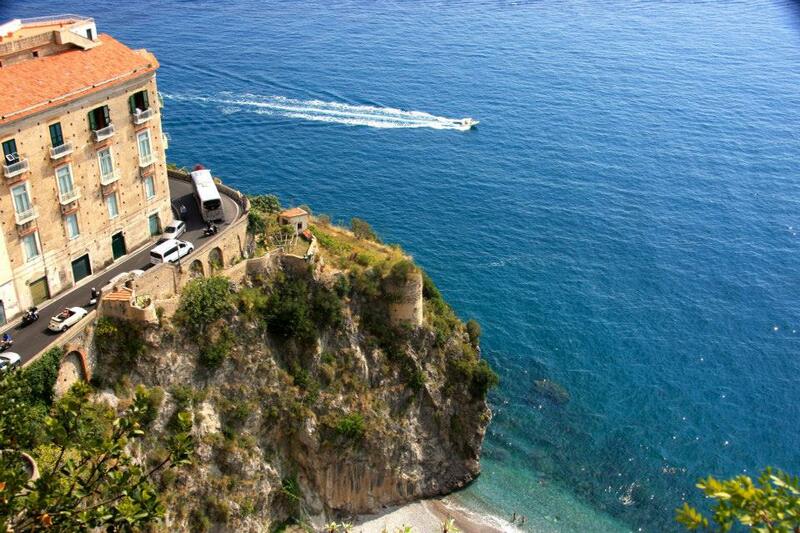 A destination wedding in Italy is one thing but trying to choose where to have it is another. How to pick from the sun-drenched Tuscan olive groves, Venice and all its romantic splendour, Florence and its history and elegance, Rome and its Dolce Vita cityscape, the sophisticated glamour of the Amalfi coast or snowy, classy Cortina D’Ampezzo? But, like reading a book, everyone comes away with their own interpretation of Italy’s best bits. 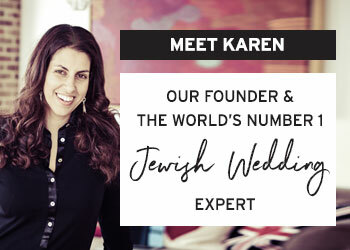 And that’s why if you’re thinking of having your Jewish wedding there, I think it’s a pretty good idea to turn to a group of experts who can take on the challenge of understanding your vision, building on it and ultimately realising your dream wedding. 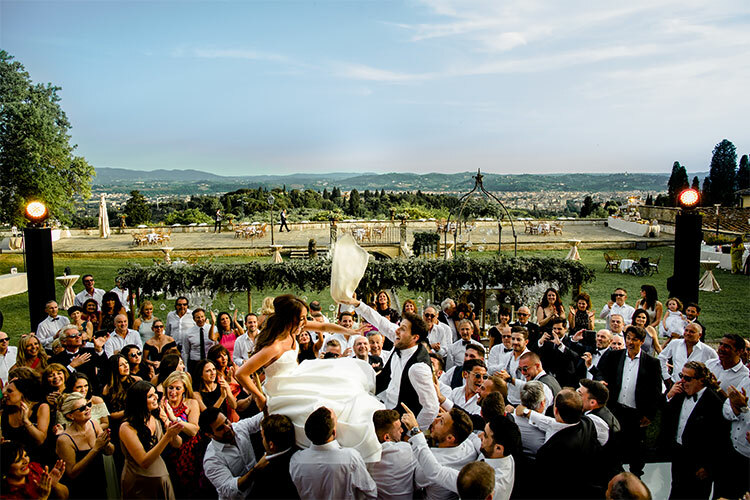 Well today’s your lucky day because I’ve found exactly who you’re looking for: SposiamoVi are superior Italian wedding planners who I first discovered through Olivia and Jacob’s breathtaking Jewish wedding that took place in Florence. I blogged it last year but this is a wedding that will stay with me for a very long time and you must check it out if you haven’t already. The, style, planning and delivery of it are simply astonishing. 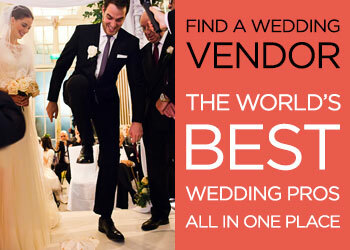 Once I had seen what SposiamoVi were capable of with this wedding, I snapped up them right away as Smashing Suppliers. 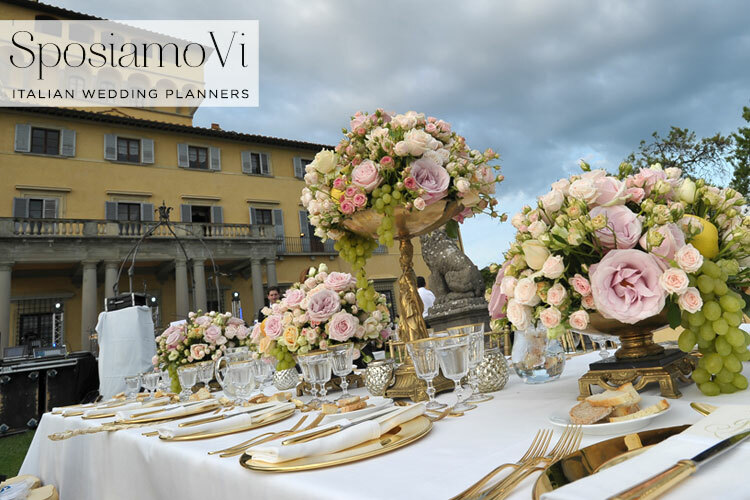 SposiamoVi was set up ten years ago by Alice, an interior designer and Cinzia, an event organiser and they currently boast offices in Florence, Portofino and Amalfi. 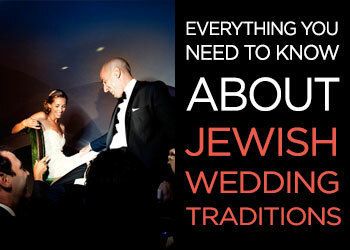 They’re an awesome team of high-achieving and inspired wedding planners. 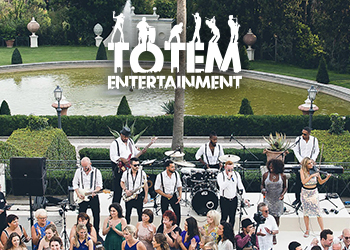 Armed with a golden rolodex of trusted suppliers right across Italy, they provide local knowledge and know-how and with a team of creative directors, stylists and designers to hand, they can turn your wedding into an art form. Is there any place more instantly connected with romance than Italy? The land of enchanting lakes, rolling green vine-covered hills and azure-blue sea. It’s certainly a country of contrasts, from its cosmopolitan historic cities, up to the majestic snow-topped Alps and back down to stunning heat-seared coastlines… with, of course, peerless cuisine and wines to make them the envy of the world. 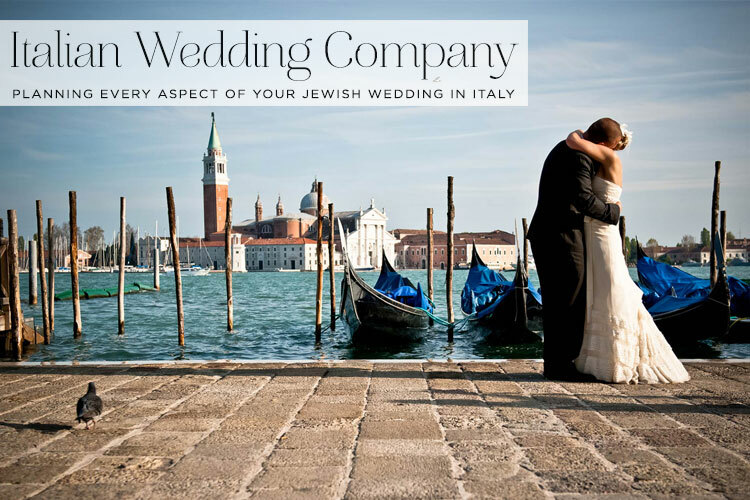 I’ve blogged my fair share of Jewish Italian weddings on Smashing The Glass already, and in a couple of weeks time there’s another gem coming that was planned by the Italian Wedding Company – I can’t wait for you to see it! 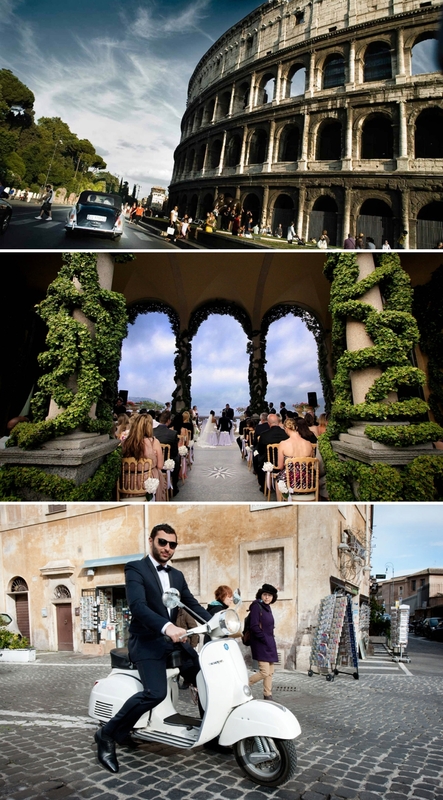 The Italian Wedding Company are really something special. I snapped them up as Smashing Suppliers, and today I want to tell you a little bit more about why I’m so fond of them. 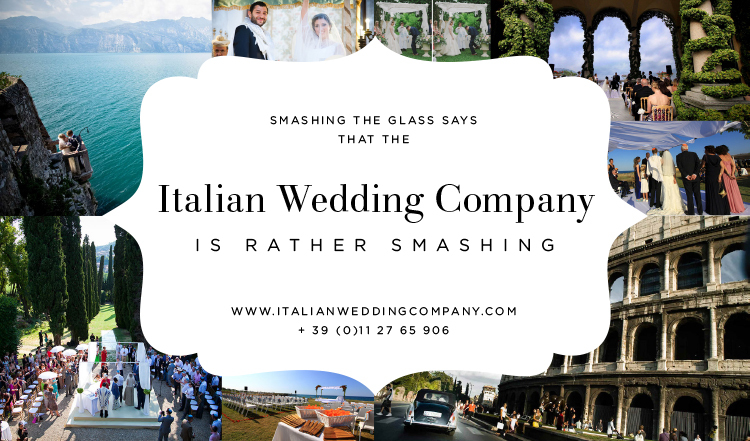 I am thrilled to welcome the Italian Wedding Company to our Smashing Suppliers, Smashing The Glass’s handpicked selection of the best brands and services the wedding industry has to offer. 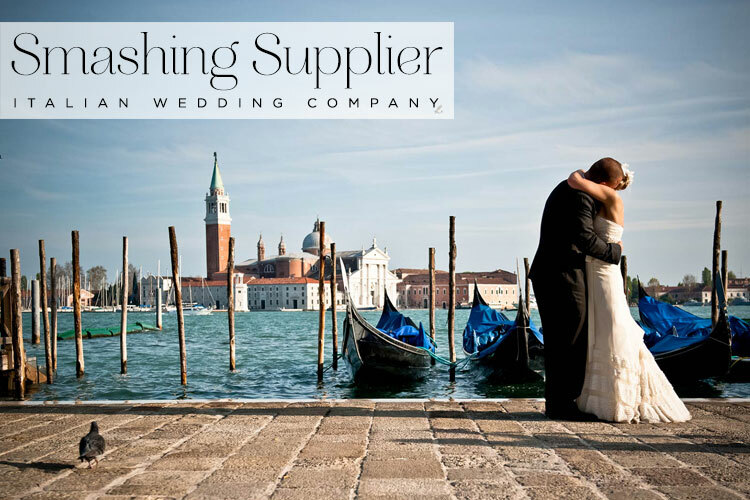 You can find the Italian Wedding Company in the Italian planning & design category of our Smashing Suppliers.